If it’s time to replace a brake pad or oil filter on your new Porsche vehicle, you may be wondering, “What does OEM mean,” or “What are the differences between Porsche OEM parts and aftermarket parts?” As one of the leading suppliers of Porsche parts near Palo Alto and Livermore, Porsche Fremont has the answers! So, how else do OEM vs. aftermarket parts compare? Read on for more information! OEM parts almost always cost more than aftermarket. However, the saying “you get what you pay for,” is truer than ever in this case. Many companies that produce aftermarket parts aim to do so cheaply, so they turn to low-quality materials. Another reason for the price difference is the fact that OEM parts often come backed by warranties. The same can’t be said for all aftermarket parts! Porsche OEM parts are designed specifically for each model. Automakers, especially of the luxury variety, carefully design and engineer their parts for optimal performance. Try as they might, aftermarket manufacturers can’t duplicate the precision of Porsche performance parts. It’s not uncommon for aftermarket parts to crack, create gaps, or leak due to poor fit, leaving drivers to foot the repair bill. Some aftermarket parts are authorized by the Certified Automobile Parts Association, but that doesn’t mean they all hold that distinction. Not to mention, many of a Porsche’s best performance systems double as safety systems. The parts used to engineer your vehicle’s suspension, brake system, etc., were designed for Porsche-grade power and handling. Replacing any component—no matter how small—with a low-quality part, could result in expensive repair bills, at the very least. Shop Porsche Parts Near San Ramon & Redwood City! 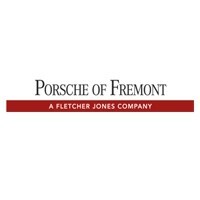 Compare OEM vs. aftermarket parts more throughout with the help of Porsche Fremont’s friendly parts specialists, who are on call Monday through Saturday. Order parts online, or browse our current parts specials for opportunities to save on anything from tires to accessories. For one-on-one assistance, feel free to visit us at 5740 Cushing Parkway in Fremont, CA—not far from San Jose and Walnut Creek.